JELLY PONG PONG Lip Oil in Watermelon, Full Size, New in Box. Condition is New. Shipped with USPS First Class Package. 1 Lip Butter. 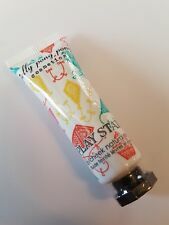 1 Play Stain Lip/Cheek Natural Stain. My unpaid item cases open and close automatically. They can be accurate, but just as often are not. Alternatively, you can request a combined invoice and I will sent you an accurate invoice. Be warned, a little goes a long way! Made with Pumpkin Seed Oil & Rhubarb Extract for unbelievably plush, cushiony skin. Jelly pong pong lip scrub ( coffee coconut ) 10ml new, use the coffee and coconut lip scrub - infused with pure gold sugar, jojoba and rosehip oil, to turn your lips silky soft. Sorry no returns and no international postage - UK ONLY, item(s) will be posted within 2 working days of cleared payment, I always obtain proof of posting, I will leave feedback once feedback is left for me, my postage charges take into account handling, materials, administration and stationery I aim to provide a first class service, Thanks for looking and please check out my other items. Be warned, a little goes a long way! Use the leftover shade on your finger to softly stain your cheeks a healthy hue of coral-orchid. Made with Pumpkin Seed Oil & Rhubarb Extract for unbelievably plush, cushiony skin. jelly pong pong lip scrub ( coffee coconut ) 10ml new. Condition is New. Dispatched with Royal Mail 2nd Class. If there is no manufacturer's seal on the product. JELLY PONG PONG Coffee Coconut Lip Scrub 10ml VEGAN - BOXED - FREE POSTAGE. Condition is New. Dispatched with Royal Mail 2nd Class. Waterliner If you’re always looking for ways to brighten and illuminate your peepers then this Jelly Pong Pong pencil is set to be a make-up bag must-have bag for you! The off-white hue suits all skin tones and instantly opens up your eyes when applied along the waterline.